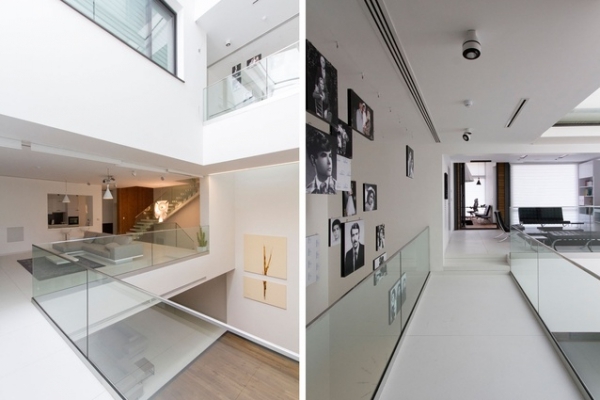 Fourteen hundred square meters of sheer innovation, this stunning townhouse in Tehran, Iran brings together the creative genius of local architects Nextoffice and its resident owner – an engineer by profession. 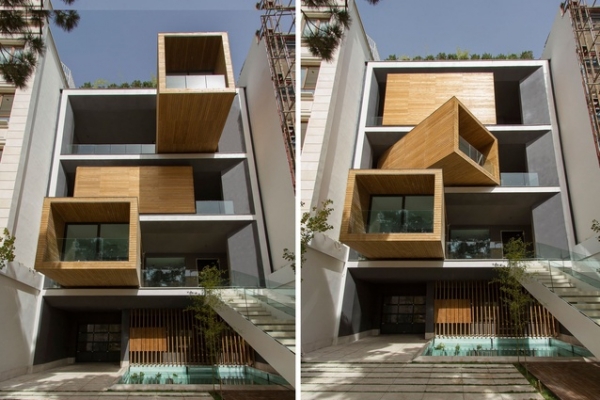 Taking adaptation and flexible spatial design to the next level, they develop a unique residential architecture that dances with the many shades of the socio-cultural context as well as the weather outdoors. The kinetic design evolves a series of moving box rooms that translate traditionally segregated spaces into a moving symphony of space, light and dialogue. Using a swivel mechanism, commonly seen in theater sets and automobile displays, this futuristic home design reinterprets the machine for modernist living. Powered by German engineering, the three rooms – one on each level housing an office, guestroom and dining area – swing out during sunny climes, adding 12 square meters of terrace, natural light and ample ventilation. The rooms draw back into a more consolidated profile during winter and more private moments. Each box room with its kinetic mechanism is designed to handle a maximum weight of 25 tons. A series of bridges connect the individual box rooms to the main house, designed in a minimalist open plan. 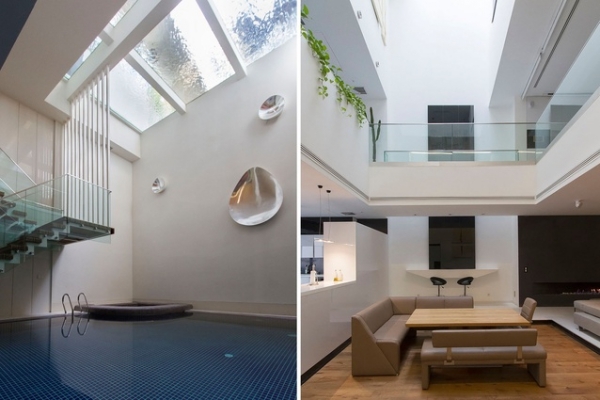 Creating an overlay of levels and functions, this unique residential architecture offers fluid living within an essentially private home. 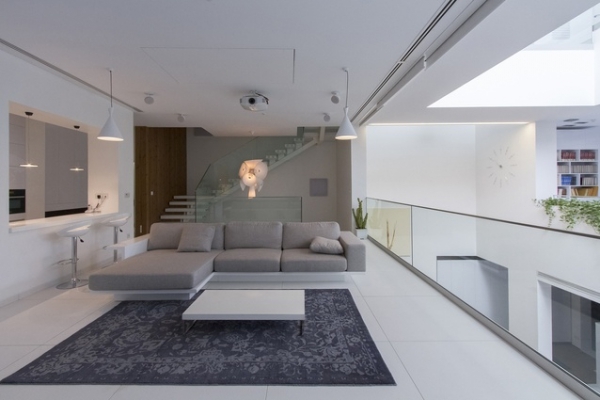 A central void brings natural light into the heart of the home, spectacularly lighting up all four levels. 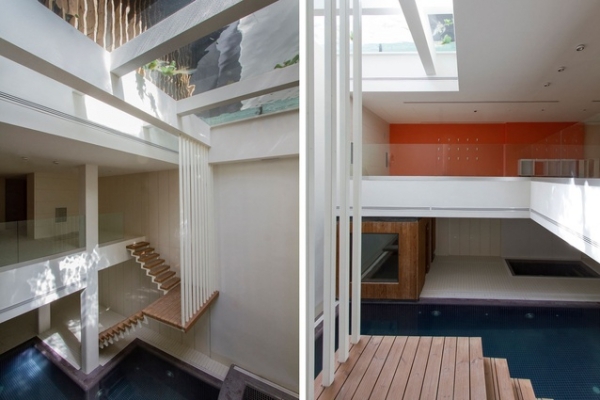 A glass floor fountain in the front-yard generously and beautifully filters light into the pool, gym, sauna and spa in the basement below.